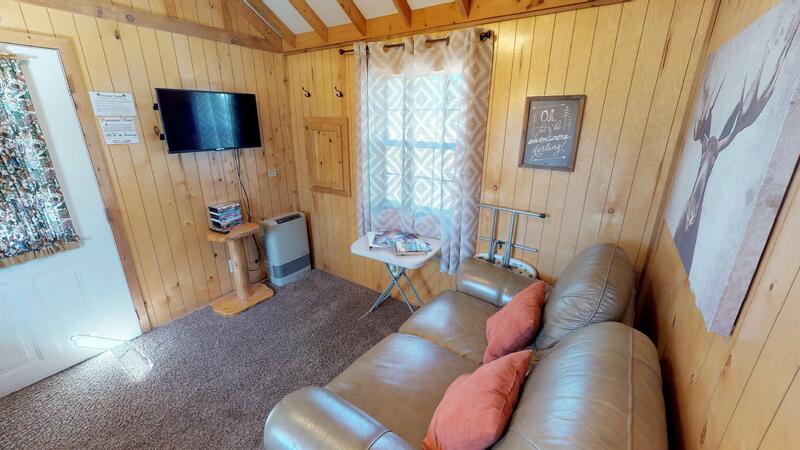 This cute cabin is perfect for a couples getaway or a small family. 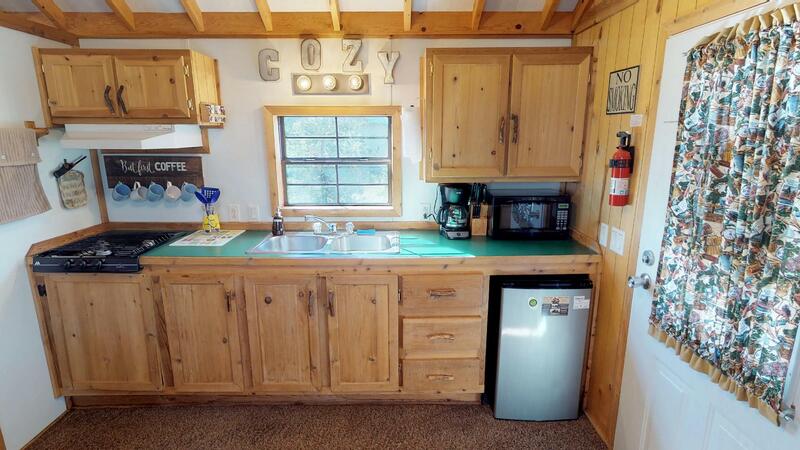 A grill is also available for your use. 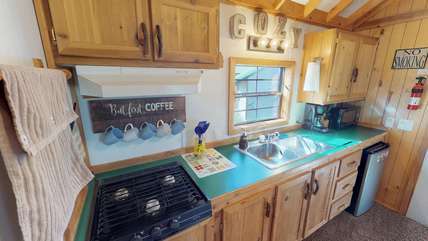 This cozy kitchen has the necessities needed for making a small meal or brewing up a cup of coffee. The kitchen might be small but it still has anything you might need. Although this place is small there is still room to cozy up on the couch and watch a movie. The cozy cabin also has a comfy queen bed to get a good nights rest. 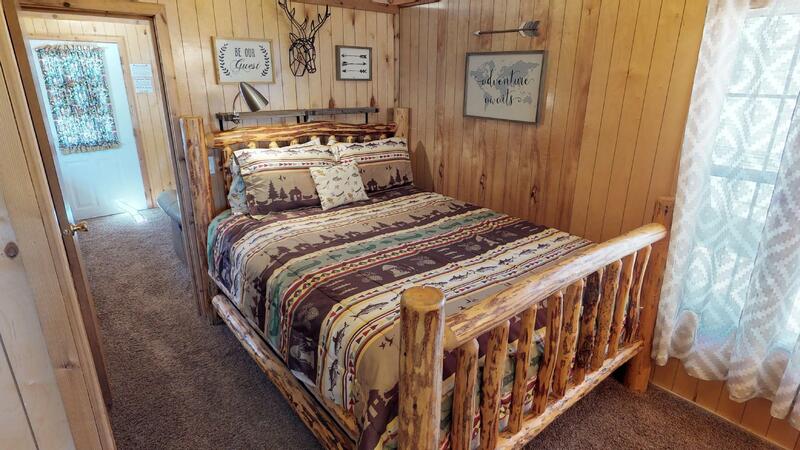 Along with the queen are two small bunkbeds for your little ones. 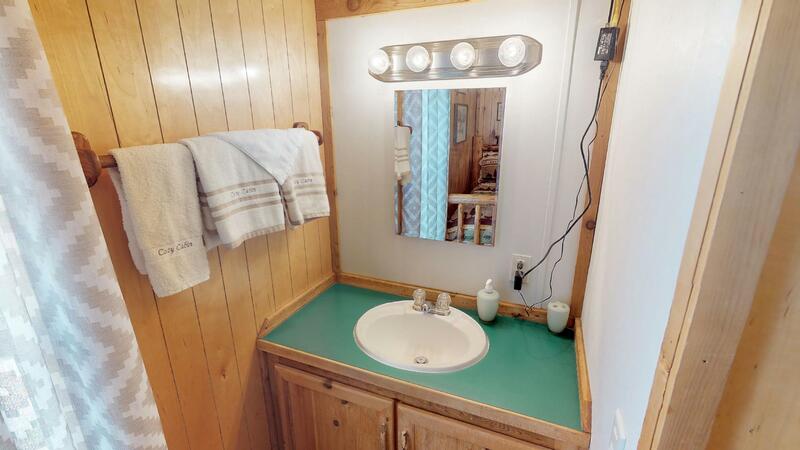 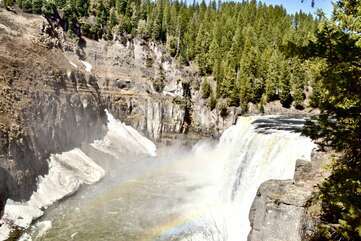 A vanity and sink is also available for getting ready for bed or getting ready for your day exploring Yellowstone. 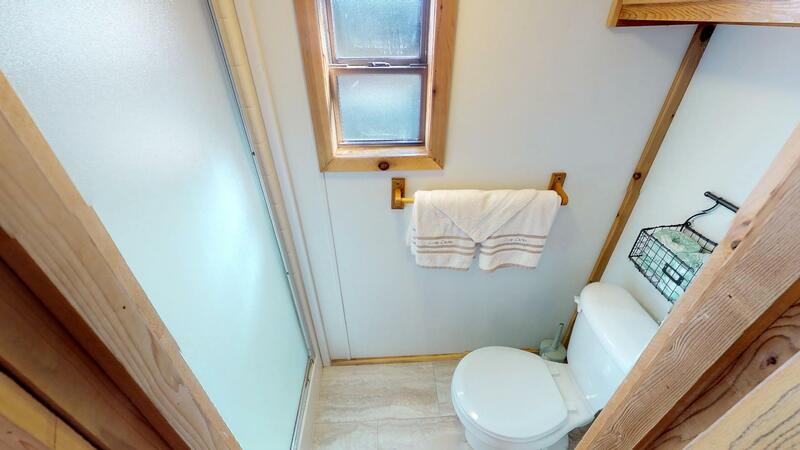 Bath towels and toilet paper is available for the duration of your stay. Screened in porch perfect for relaxing, but also being protected from the bugs. Luscious green grass and trees are a beauty at the enchanted forest. 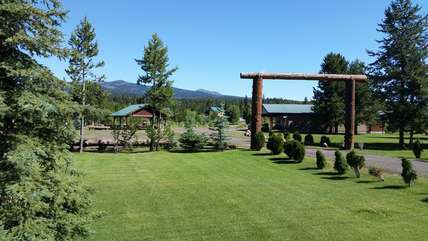 The volleyball net available to all guests for use. The best place to bring the kids to place outside! 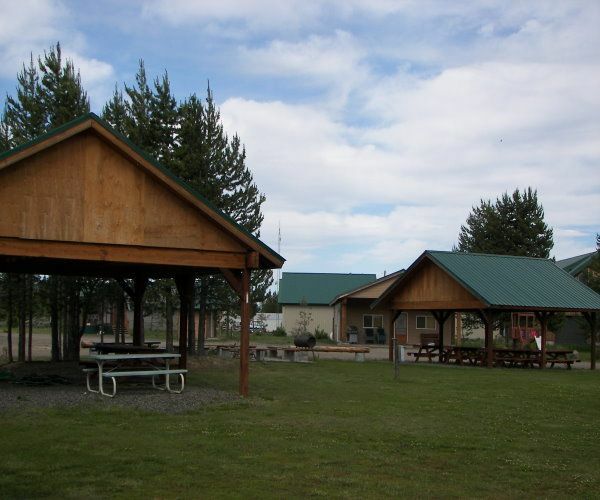 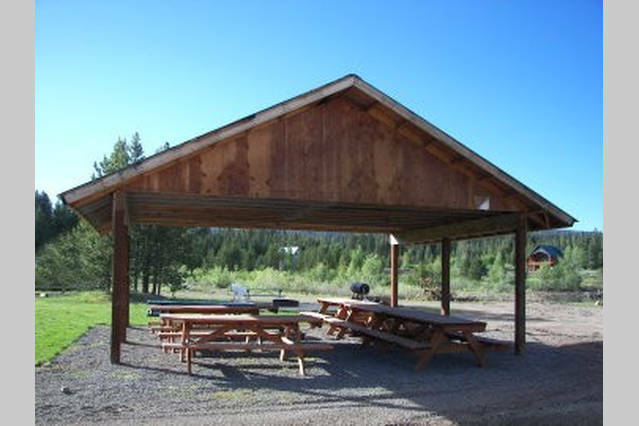 The picnic pavilions are perfect for family reunions. There are two picnic pavilions available for use. 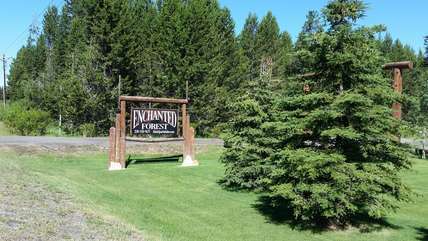 Wintertime at the enchanted forest. 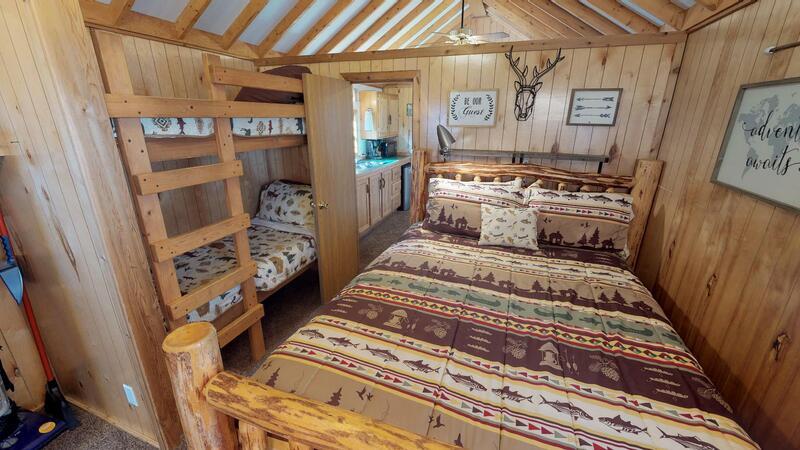 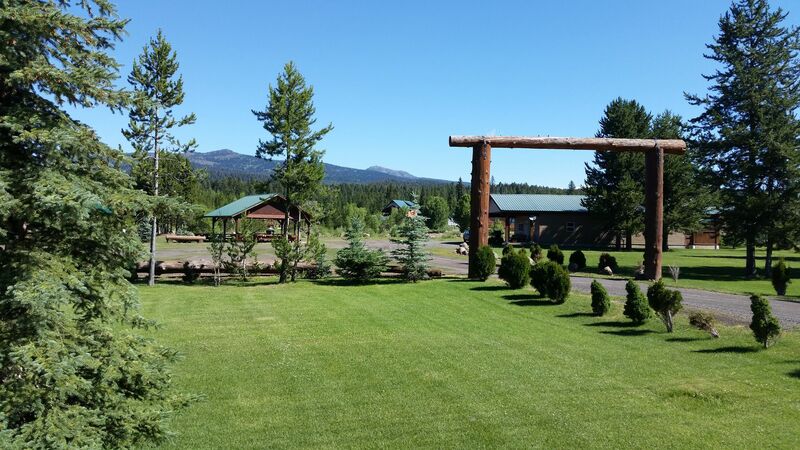 Enchanted Forest Cozy Cabin sits towards the front our 7 acre Enchanted Forest Resort. 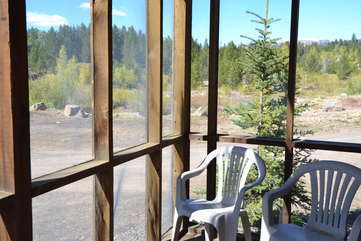 This darling little cabin offers all the amenities and more than your typical hotel room. 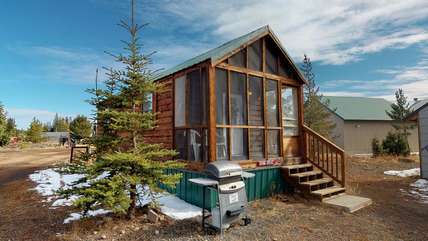 Stepping outside this cabin has pretty mountain views and perfect for adventurous couples or small families. Don't be deceived by it's small size! 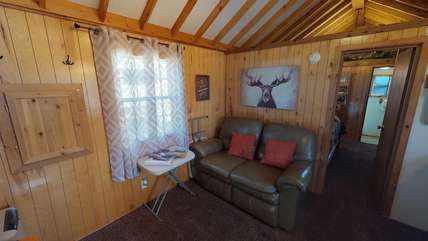 This cabin has a kitchen, bathroom with a walk in shower, private bedroom with a queen size bed, kids bunk bed and cozy living room equipped with a TV and DVD player. 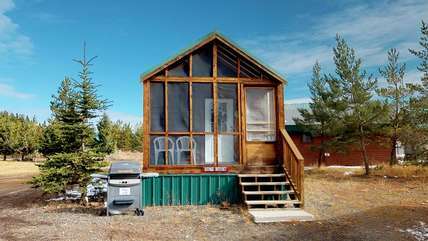 This cabin offers much more than your average hotel room and much cheaper at that! If all you're needing is a comfortable place to relax at night in between the great adventures Yellowstone offers then Cozy Cabin is a great choice!